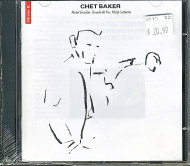 One of the most visible exponents of the West Coast cool school of jazz, trumpeter Chet Baker played in an intimate style that was far more restrained and mellow than incendiary boppers like Dizzy Gillespie and Fats Navarro or aggressively blowing hard boppers like Clifford Brown and Freddie Hubbard. 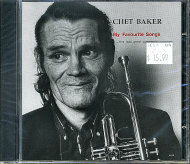 Baker preferred to cook on a lower flame, enthralling audiences with his warm, expressive trumpet work and alluring vocals. 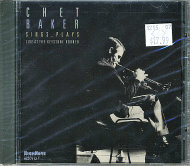 By the time of this Great American Music Hall performance on September 9, 1982, Baker was just 52 years old and in the midst of a career comeback. But he would sadly have only six years to live, the victim of a tragic and mysterious death in Amsterdam at the age of 58. 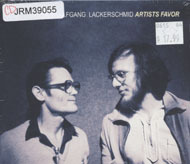 For this GAMH concert, Baker is accompanied by a San Francisco-based trio consisting of jazz veterans Al Plank on piano, Frank Tusa on bass, and Vince Lateano on drums. They open with a rendition of pianist Enrico Pieranunzi's loping minor key number, "Nightbird," that has the trumpeter blowing relaxed, deliberate lines on the head while striking a forlorn vibe on his haunting solo. 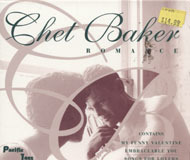 Ray Noble's romantic ballad "The Touch of Your Lips" is delivered with velvet tones and some alluring close-mic crooning by Baker. Tusa also turns in a lyrical and highly expressive solo on upright bass here over a double time swing section. 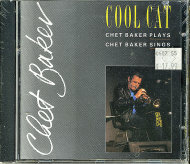 His swinging interpretation of the standard "Just Friends," a tune he had been playing since the beginning of his solo career, is also a showcase for Baker's considerable scatting chops in the falsetto while Tusa turns in another virtuosic bass solo. 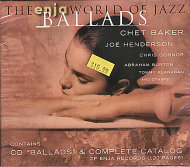 An evocative unnamed ballad features some gentle Bill Evans-inspired piano from Plank. 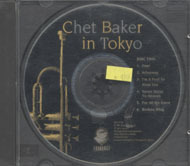 Baker begin this fragile piece with some achingly beautiful statements on trumpet, and as the piece picks in intensity during the swinging middle section he wails with impunity, only to return to the serene theme with uncanny sensitivity and lyricism on his horn. The trumpet great and his San Franciscan accompanists end their set on a soulful note with Miles Davis' jaunty blues "Down," which first appeared on a 1951 Prestige recording by Davis. Drummer Lateano is showcased on some slick solo brushwork on this hip closing vehicle. 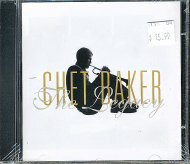 Born on December 23, 1929 in Yale, Oklahoma, Baker grew up in California, where he studied trumpet in junior high school. He dropped out of high school at age 16 to join the Army. Stationed in Berlin after WWII, he played trumpet in the 298th Army Band. Following his discharge from the Army in 1948, he began making the scene in San Francisco at jazz clubs like Bop City and the Blackhawk. 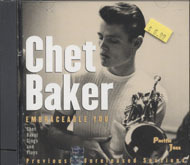 Following a brief apprenticeship with tenor saxophonist Stan Getz, Baker played with bebop icon Charlie Parker for a series of West Coast gigs. 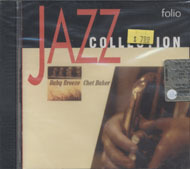 In 1952, he joined Gerry Mulligan's revolutionary piano-less quartet, which promptly elevated his profile in the jazz world. 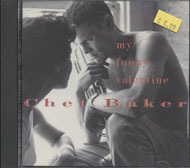 The Quartet's version of the melancholy ballad "My Funny Valentine," featuring Baker's heart-wrenching trumpet solo, was a major hit and became forever associated with the trumpeter. 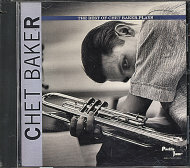 After Mulligan went to jail in June 1953 on a drug charge, Baker formed his own quartet with pianist Russ Freeman, bassist Carson Smith, and drummer Bob Neal and launched a solo career at age 25 with the 1954 Pacific Jazz album Chet Baker Sings. Critical accolades followed, including being named Best New Trumpet Talent in the Down Beat Critics Poll. Baker's popularity during the '50s was enhanced by his matinee idol good looks, which also made him a natural for magazine covers during his heyday. He recorded prolifically through the 1950s and 1960s but his addiction to heroin would rob him of both his chops and his photogenic appeal later in his career. Baker made a triumphant appearance at the 1955 Newport Jazz Festival and made his motion picture debut that fall in the Hell's Horizon. He formed a hard boppish quartet in 1956 with pianist Bobby Timmons and in 1957 toured the US and Europe with the Birdland All-Star. Baker settled in Italy in 1959 and acted in another film there. By this time, Baker's heroin habit began interfering with his career. He was arrested in Italy during the summer of 1960. Ironically that same year, Hollywood released a fictionalized account of his life, All the Fine Young Cannibals, starring Robert Wagner as Chad Bixby. 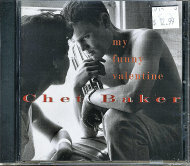 Following his stint in jail, RCA released Chet Is Back in 1962. 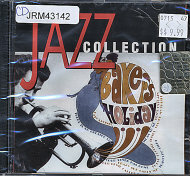 Through the '60s, Baker endured frequent arrests and jail time for drug offenses while living alternately in England, France, Spain, and Germany. He tried mounting various comebacks but his condition had deteriorated so much by the end of the '60s that he rarely performed anymore and only recorded infrequently.